Whether you like a nice, small smartphone or a tablet-like behemoth is very much a personal decision. Some like to have huge 6-inch screens in the palm of their hands, whilst others think that the 4-inch display of pre fifth-generation iPhones is still the sweet spot. People will never agree on which is best, nor should they ever need to. Apple’s iPhone 5, with its 4-inch, elongated design is about as large as we would want an iPhone to be, but then there’s the Samsung way of doing things which boils down to making phones as big as possible, even if that means they’re starting to get a little unwieldy. 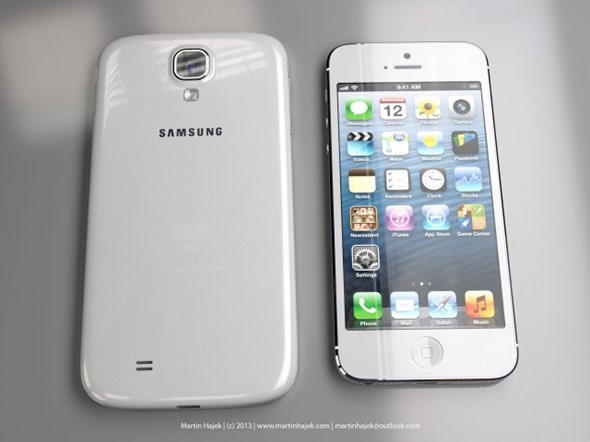 The latest handset to come out of the Samsung stable is obviously the Galaxy S4. It’s all over the internet and you really can’t avoid it at this point, which is why it was always going to be compared to Apple’s flagship device, the aforementioned iPhone 5. That Galaxy S4, by the way, packs a 5-inch screen that looks absolutely gorgeous, even if possibly a little on the large side. They’re two vastly different devices, and we like them both. But what do they look like side-by-side? 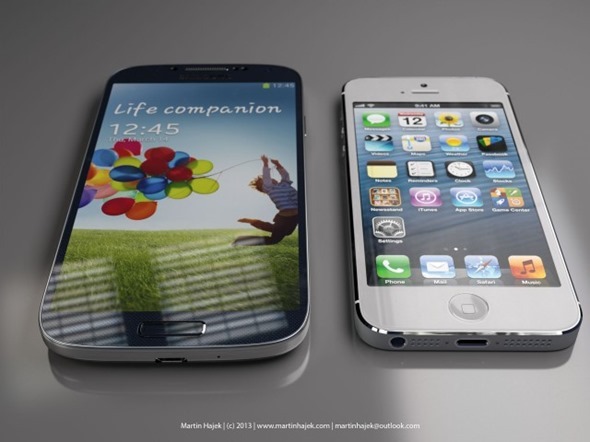 What strikes us immediately is how nice that Galaxy S4 looks. There’s something about that screen that we’re taken with, we just wish that our hands were twice the size they are so that we could hold it properly. 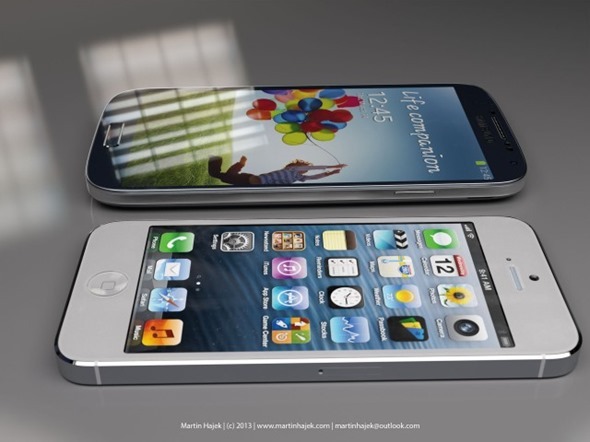 By contrast, the iPhone 5 appears dwarfed by the larger Galaxy S4, but it too has received justice by Hajek. 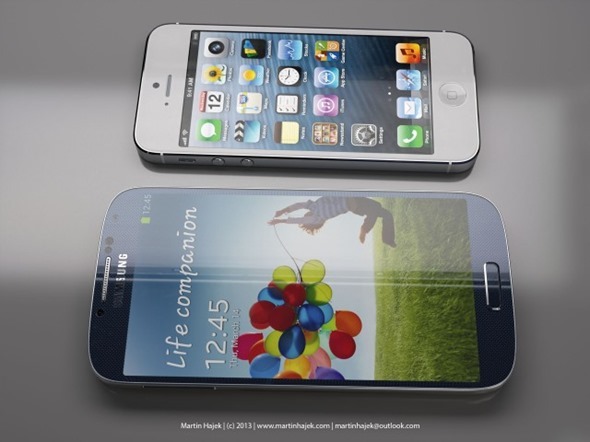 Both devices look great, just proving that there’s no wrong or right when it comes to smartphones and screen sizes. There are obviously plenty of photos of the two devices on the internet right now, but there’s something about a well rendered image that captures the beauty of a well designed smartphone, and that’s certainly what we have here.